Their means of communication with the transponders is based on RF signals. 2 versions are available : the decoder 'RC1 USB' (older), and the decoder 'RC2 USB' more accurate and powerful. 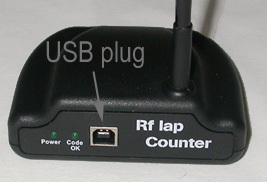 The decoders 'RC1/RC2 USB' work simply connected to a PC by the means of a USB cable. Light and small sized, they can be easily handled or carried.